Instantly add glamour to your appearance through Drama Queen Studios hair extensions. We are one of the top hair extensions providers, providing top quality hair extensions for 8 years to our bridal clients . If you have thinning hair or just short hair and are looking to add more volume or length, then hair extensions are your best choice. 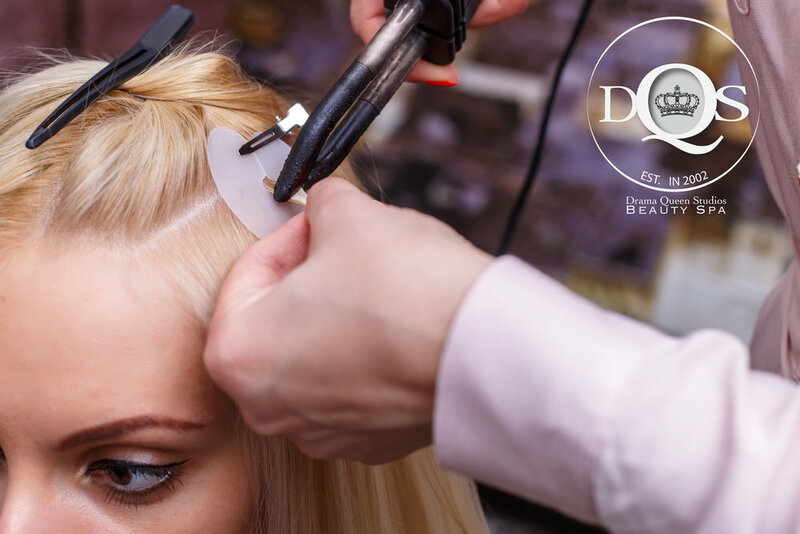 Our certified stylists can provide you with the best human hair extensions and a professional application using the method that best suits you. Come visit us and receive a free consultation for determining the best application method for your hair and style you want to achieve.